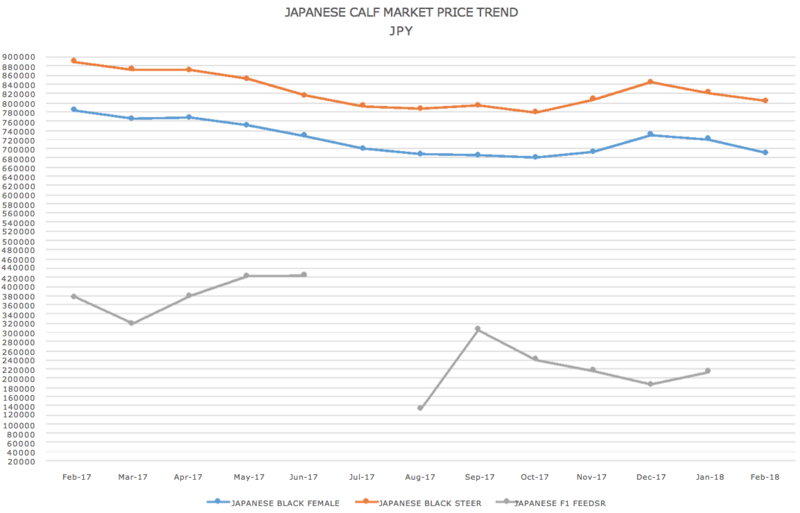 Analysis: Coming from historic highs in early 2017, Japanese Black national calf markets have drifted slightly lower but mostly sideways as the chart below indicates. Based on exchange rates in early March 2018, current prices for Japanese Black steer calves are around $AUD9750hd, with heifers around $7300hd. This chart is in JP Yen/kg, and illustrates the linkage of price to JMGA grading. Using March 2018 currency exchange, JMGA top graded A5 steer carcasses are attracting $AUD35.54 per kilo in a rising market. Top grade A5 FB heifer carcasses are at $AUD32kg. 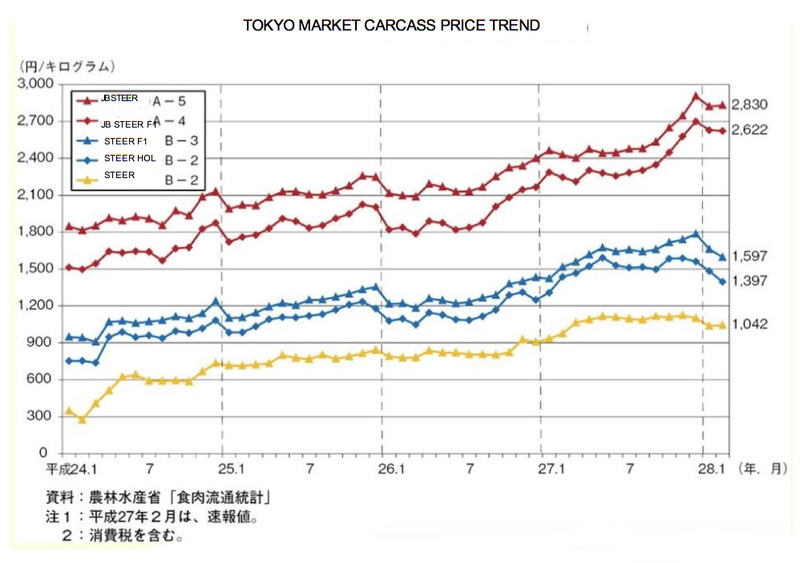 The carcass price has been rising steadily for four years, with only minor corrections.